Found only in a small section of South Africa as well as India, these flowers are part of our "Private Reserve" offerings that no other vendor offers. Find our WILD DAGGA LEAF, RESINS, & TINCTURES Category that explains the difference between the two main strains of Wild Dagga. This variety contains the large SEED PODS, which is what separates this stronger strain from the weaker Lion's Tail strain. Notice that the photos of each product are different, and there's a reason for this: Lion's Tail is weaker and less expensive (but still a very nice product). Many vendors we've found try to "pass off" that less expensive variety as "THE" infamous "Klip Dagga" variety. These are genuine Leonotis nepetifolia flowers! Found only in a small section of South Africa as well as India, these flowers are part of our "Private Reserve" herbal offerings that no other vendor offers. Find our WILD DAGGA LEAF, RESINS, & TINCTURES Category that explains the difference between the two main strains of Wild Dagga. This variety contains the large SEED PODS, which is what separates this stronger strain from the weaker Lion's Tail strain. Notice that the photos of each product are different, and there's a reason for this: Lion's Tail is weaker and less expensive (but still a very nice product). Many vendors we've found try to "pass off" that less expensive variety as "THE" infamous "Klip Dagga" variety. These are genuine Leonotis nepetifolia flowers! See "The Dagga Shop" or "Entheology - Wild Dagga" for more information. 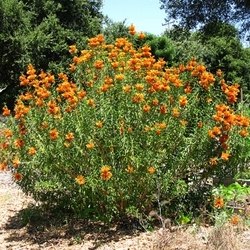 Wild Dagga is one of our Top Sellers!